After 22 rounds the NRL has a new ladder leader, with the Sydney Roosters becoming the fifth team to lead the competition in 2018. 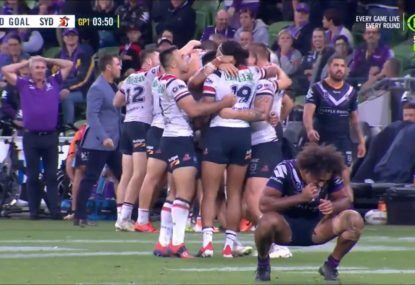 The Roosters moved past the Rabbitohs to secure first position, while the Storm fell behind thanks to their loss to the Sharks. The Wests Tigers now sit just two points outside the eight. But the most dramatic change came at the bottom of the table, where the Sea Eagles, Eels and Cowboys all enjoyed wins. Parramatta moved past North Queensland on for-and-against. It marks the first time the Eels have been off the ladder since Round 1, when the Broncos sat at the bottom. In every game at the weekend there were outstanding individual and team performances. A handful of players held profound influence over their team’s performance, some through enthralling attacking skills, others through setting up matchwinning plays or hard work through the middle. Here is my NRL team of the week for Round 22. There was no stopping Roger Tuivasa-Sheck on Friday night, the New Zealand international terrorising the Knights with 338 running metres. He busted his way through 11 tackles as well as making two line breaks, combining well with five-eighth Blake Green as the Warriors recorded back-to-back wins. Anthony Don loomed as a dangerous threat on the Titans’ right-side attack. The rangy winger made a massive 270 running metres courtesy of a runaway try with five tackle busts and two line breaks. Dean Whare played his role when it was needed, helping to set up Nathan Cleary’s try and force the game to extra time. The centre impressed on the edge with four tackle busts, two line breaks and 150 running metres as well as 11 tackles in defence. 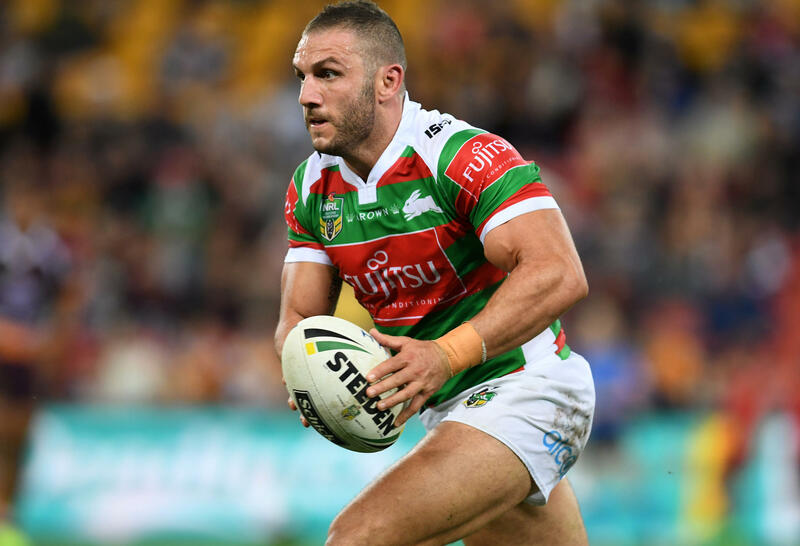 Joseph Manu challenged the Rabbitohs’ left-side defence in Saturday night’s top-of-the-table blockbuster, scoring a try against the ladder leaders. 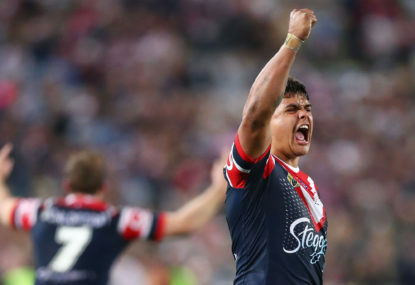 The Cook Island international was impressive, overshadowing his fellow three-quarter Latrell Mitchell with 104 running metres, four tackle busts and 17 tackles. Jarryd Hayne has had a stunning resurgence in the back half of 2018, helping the Eels to victory over the Dragons with three tries in the first half. 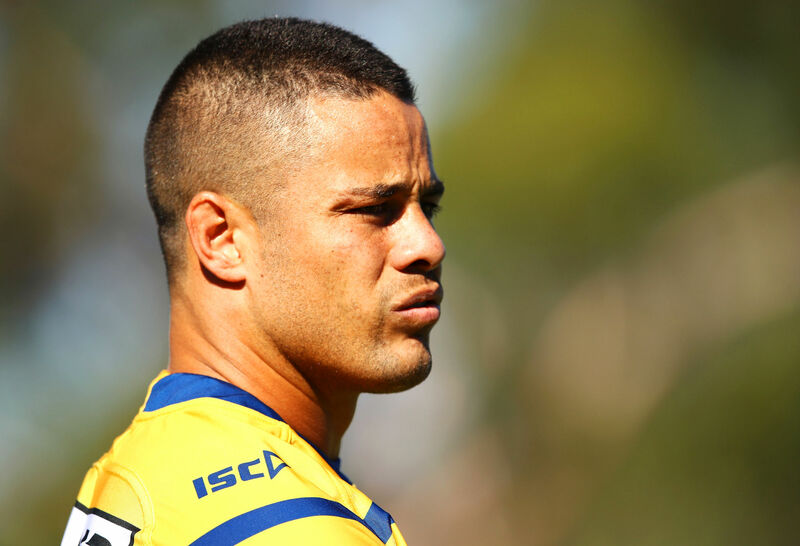 Hayne looked comfortable on the right wing, scoring a hattrick of tries with six tackle busts and two line breaks in attack. 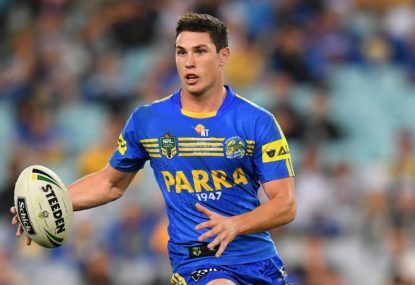 Salmon has adjusted well to the bright lights of the NRL in his rookie season by leading Parramatta to a win over the Dragons in spectacular fashion. The 19-year-old looked composed in the halves, combining well with Mitchell Moses. Moses has struggled in 2018 with his kicking game; however, he had a great game off the boot in Saturday night’s win over the Dragons. The Lebanon international set up four tries with a slick passing game and ran the ball effectively with four tackle busts and a try, but his greatest contribution came with kicking for 334 metres and forcing a dropout. Addin Fonua-Blake stole the spotlight from his front row partner Martin Taupau, motoring his way to victory for the Sea Eagles. The Tongan international was explosive in attack, scoring a try after gaining 155 metres with seven tackle busts. He made 27 tackles in defence, paving the way through the middle for Manly. The Wests Tigers kept their finals hopes alive with a 22-20 win over the Canberra Raiders and Robbie Farah was at the centre of it all. The veteran worked well out of the ruck, busting through tackles with 52 metres gained. He made a profound impact off the boot by forcing a dropout and was everywhere in defence, with a tally of 41 tackles. The Cowboys’ key middle forwards proved to be the difference in their four-point win over the Broncos, chief among them being Jordan McLean. The Australian international was inspiring through the middle, running for 195 metres with two tackle busts and 21 tackles in defence. He laid the groundwork for Johnathan Thurston to work off. 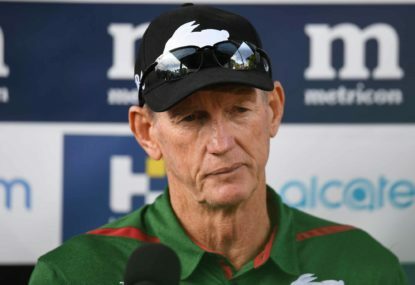 The Rabbitohs recorded a loss against the Roosters, conceding first position with a four-point defeat. Angus Crichton was a positive for the cardinal and myrtle, giving it his all over 80 minutes against the club he will be playing for in 2019. The State of Origin star was instrumental in attack with 160 running metres and five tackle busts on the right edge. e also made 39 tackles in defence. Tapine put in one of the best performances of the round, scoring two tries against the Wests Tigers. 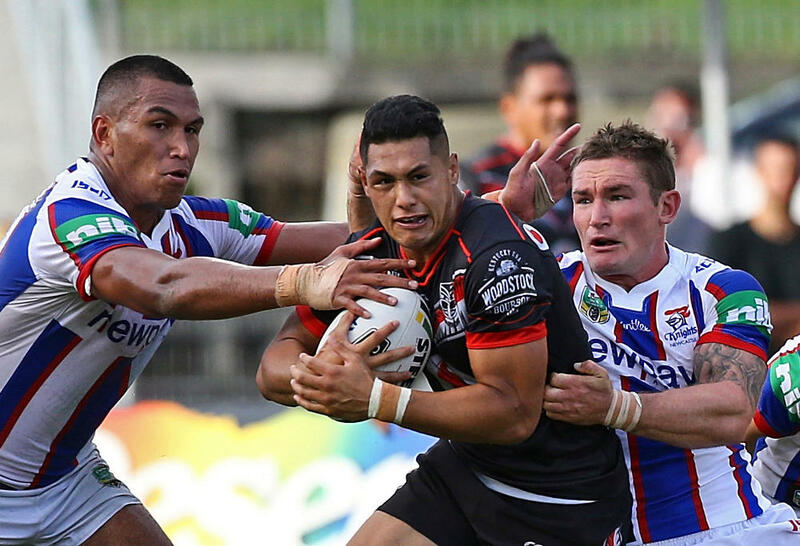 The New Zealand international continues to prove himself as a valuable asset to the Raiders with outstanding attacking output that saw him produce 152 running metres as well as ten tackle busts and three line breaks. Tapine also made 29 tackles. The Tongan hulk found his form once again as the Cowboys recorded an important win over the Brisbane Broncos in the Queensland derby. Taumalolo ran for 286 metres, helping North Queensland to win the battle of the forwards while also making seven tackle busts and scoring a try with great footwork. Lodge continues to make an enormous impact off the bench for the Broncos. The young forward played 61 minutes against the Cowboys, coming to the field with his trademark explosiveness. Lodge ran for 188 metres with eight tackle busts and a try and came up with 31 tackles in defence. 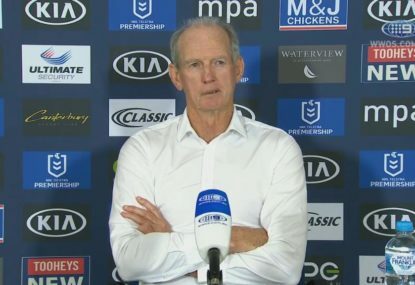 The Penrith Panthers narrowly came away with a win over the Titans and a lot of it came off the back of Campbell-Gillard’s work in the middle. 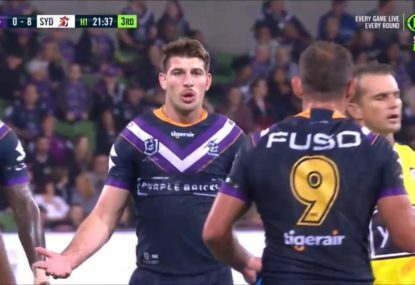 The State of Origin star made his return last week and took centre stage against the Gold Coast, running for 155 metres in attack with two tackle busts and making 32 tackles in defence. 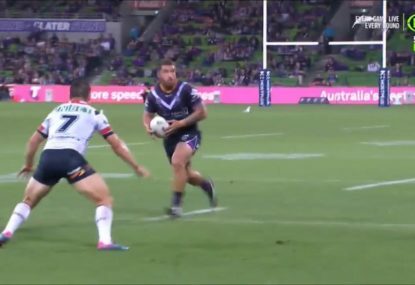 Paul Gallen did all the little things right in the middle for the Sharks as they ran away with a gutsy win over the third-placed Melbourne Storm. The 36-year-old battled his way through 69 minutes, making a total of 38 tackles as well as running for 185 metres. Tom Trbojevic’s attacking spark was the key to ending the Bulldogs’ winning streak. The young star ran for 210 running metres at fullback with six tackle busts and a two-try haul in a win that saw the Silvertails lift to 12th position.